The UC Davis Institute for Transportation Studies issues a series of studies on California’s Low Carbon Fuel Standard (LCFS), one of California’s climate and clean air standards under the umbrella of AB 32. The LCFS requires oil producers and importers to reduce the carbon intensity of their fuel mix by at least 10% by 2020. In 2013, the Institute found that low carbon transportation fuels have displaced roughly 2.14 billion gallons of gasoline and 77 million gasoline gallon equivalents of diesel since the LCFS went into effect in 2011, preventing about 2.8 million metric tons of carbon dioxide emissions, equal to removing half a million vehicles from the road. In 2012, low carbon fuels displaced roughly 1.06 billion gallons of gasoline and 45 million gasoline gallon equivalents (gge) of diesel (representing 6.2% of total gasoline and diesel fuel). The industry overcomplied with the 2012 targets and generated net credits: 78% were generated from ethanol, 12% from natural gas and bio-based gases (as liquid and compressed natural gas), 9% from biodiesel/renewable diesel, and 1% from electricity. Biofuels made from waste materials comprised less than 1% of biofuel volumes but generated 10% of biofuel credits, due to their very low carbon intensity. Fuel suppliers in the program continued to generate excess LCFS credits. While overall biofuel volume remained relatively constant since 2011, the contribution to LCFS credits of ethanol made primarily from corn or grain mixes decreased, while biodiesel and renewable diesel credits increased dramatically in 2013. 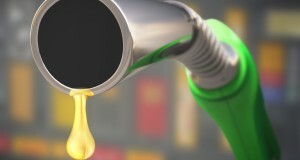 An increasing share and volume of biofuel LCFS credits came from the use of waste-based fuels. Reported electricity use for transportation increased almost four-fold from 2011 through the first half of 2013.